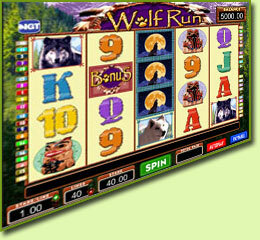 5 Reel, 40 Payline video slot showing 4 images on each reel instead of 3 images. 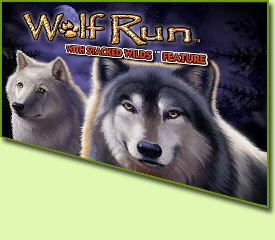 Also featuring a Free Spins Bonus feature and Stacked Wilds. The reels are very detailed with vibrant animations and soft background music. The powerful Wolf can lead the way to incredible fortunes! 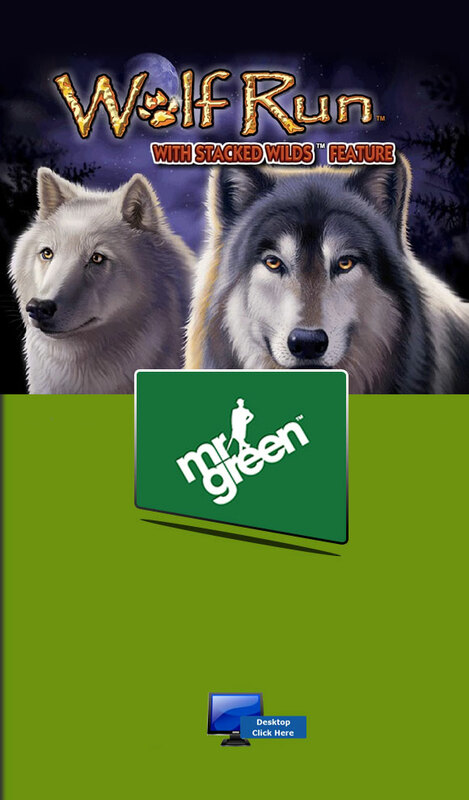 The minimum and maximum bets start from 0.1 up to 5.00 respectively. 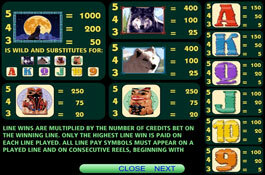 Players may bet a maximum of 5 coins on a payline. 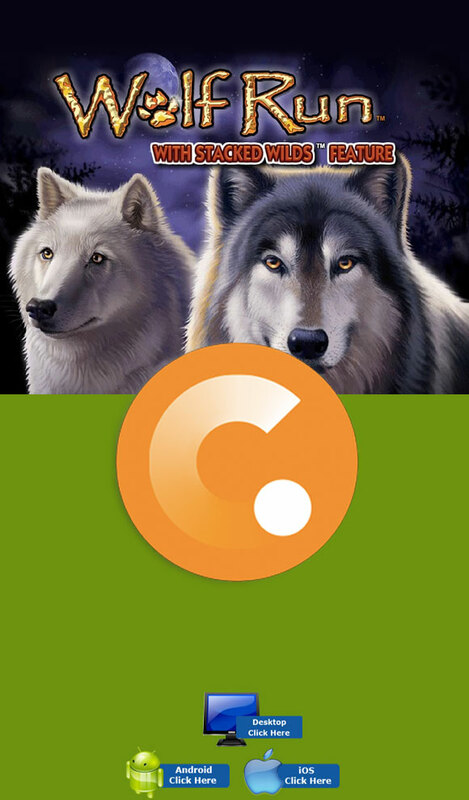 The Howling Wolf wild symbol substitutes for regular symbols to complete winning combinations. 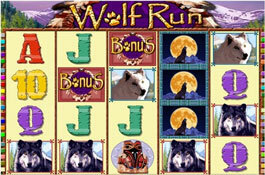 On each reel there are stacks of 4 or more Wild symbols which can line up to trigger many simultaneous wins! The Scatter symbol doesn’t need to appear in a line on an enabled payline to win. The scatter symbol appears only on the 2nd, 3rd and 4th reels which activate the Bonus game. When 3 Bonus symbols appear, the win will be doubled. This feature is activated when 3 or more Scatter Bonus symbols appear on the 2nd, 3rd and 4th reels. 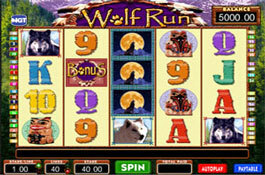 5 Free Spins will be awarded; the Bonus can be re-triggered when 3 Scatters appear on the designated reels. Up to 255 Free Spins can be won in this round. Once the Free Spins end the regular game and Free Spin game wins get added to the win total.